I really hope that I have not disappointed my fellow bakers with my response. Every baker has a different style, even if they are able to replicate, but something about it will seem a little different. Respect the effort and the work of your baker or artist. Don’t end up crying because you choose to be a cheapskate. Every dollar you pay, you paid it to the experience the baker has and thus quality of the entire cake. Copy cat, kiss the rat, go and let your mother...slap? This phrase evoked so much childhood memories for me and hopefully for you as well and come to think of it, it seems like we were programmed to detest “copy cats” from a very young age. Honestly, artists pluck inspirations from all over the place. Be it nature, their way home from work or simply, other people’s work. The only reason why our work was copied was because it was good. Imagine if you made a freakish cake, would anyone copy that work? That is because of our instictive nature as humans to be captivated by beautiful things. If others took the effort to replicate your work, you have succeeded in building your personal fan club. Besides, if your work was found to be A.M.A.Z.I.N.G., it is inevitable that clients will go around asking other bakers to replicate your work maybe because they could’nt afford to pay for the original artist’s handcrafted work, yet want to enjoy a glimpse of that blessing. However, to make things clear, I am not in favor of such unethical behaviors. When we create inspired designs, we should always credit the original artist for their work. That is respect and having good sportsmanship. So if you are one of those who “copied” other artists’ works, don’t forget to credit them! Walao eh, why do I need to pay so much for a cake? Did it cost you a bomb to customise a cake or your 21st birthday or wedding or your children’s first birthday? To unravel this mystery, ” Why do I need to pay so much?” there are a few things to learn about your cakes. Singaporeans lack is the heart of appreciating one’s artwork, let alone pay for someone’s artistic masterpieces. However, we cannot be blamed for that because our grandparents started from the point where Singapore was undeveloped and required everyone to slog their lives away to feed a family of 6.
Who has time for art honestly? As Singaporeans, we grew up with the mindset that spending extras for art is a waste of money. Not many of us are able to do that. Even though our country has developed quickly and now we can afford both money and time to admire art, we are just not in the habit of doing so. In fact, we illegally download music, steal the work of others and manufacture into products that we deemed as our own, we copy and practically want everything free. Come on, who doesn’t like free stuff? Well I do! It’s a unique culture we have in Singapore and that has been our lifestyle, nothing wrong right? Nope, It’s our life, our choice. However, let’s not be selfish individuals. Take a moment to spare a thought for that artist, in this case, bakers who have invested heaps of time into learning, practicing, mastering then painstakingly designed and sculpted your cakes! Yes, it’s not overboard to say we sculpted, we literally spend days crafting your cake. Imagine, just baking the layers to perfection and filling in your cakes with your favourite flavour takes 3 whole hours. The part which most people took for granted and end up cutting it out. It is actually the most costly part of the cake as butter is above the top pricey in Singapore. We always use the best by the way. 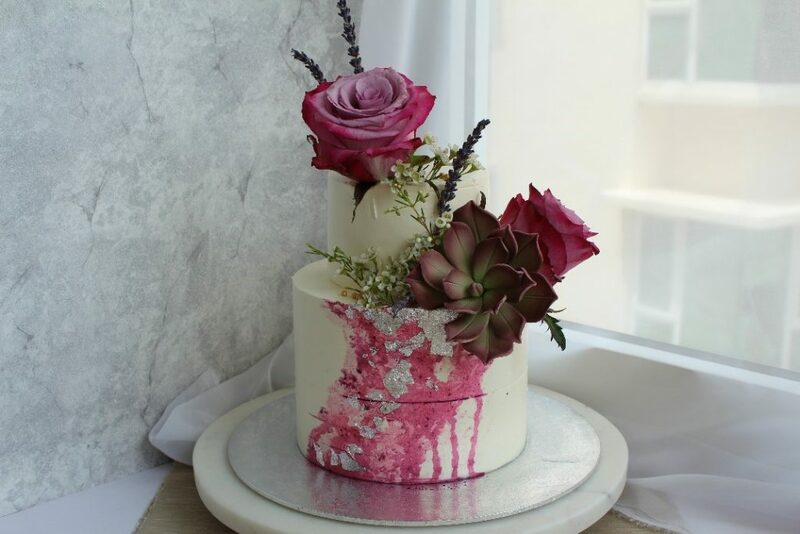 Usually we fumble around with bottles of food colouring just to get it to your requested colour then carefully paint them on petal by petal, stroke by stroke onto your cake. If we are quick, we take an hour, if you asked for more intricate designs, expect us to be sitting there for at least 3 hours. Then if there are chocolate shards or isomalt(Sugar) shards or sails used, we will need at least 30 mins dealing with it. If it happens to not firm up properly, we will need to make a new batch. We have to liaise with the cake topper artists and florists to craft your ideal statement pieces way ahead of time. Then make our way to the florist and to collect your customised cake toppers which are far far far out from our area which probably takes us 3 hours to go and come back. Flowers, cake toppers, they are very expensive too. If you like peonies, dahlias or even ranunculus, be prepared to spend at least $18 per stalk on each. And, Voila~ your cake is finally ready for collection. This is not inclusive of the manpower needed to discuss and design the cake for you before you decide to get a cake. 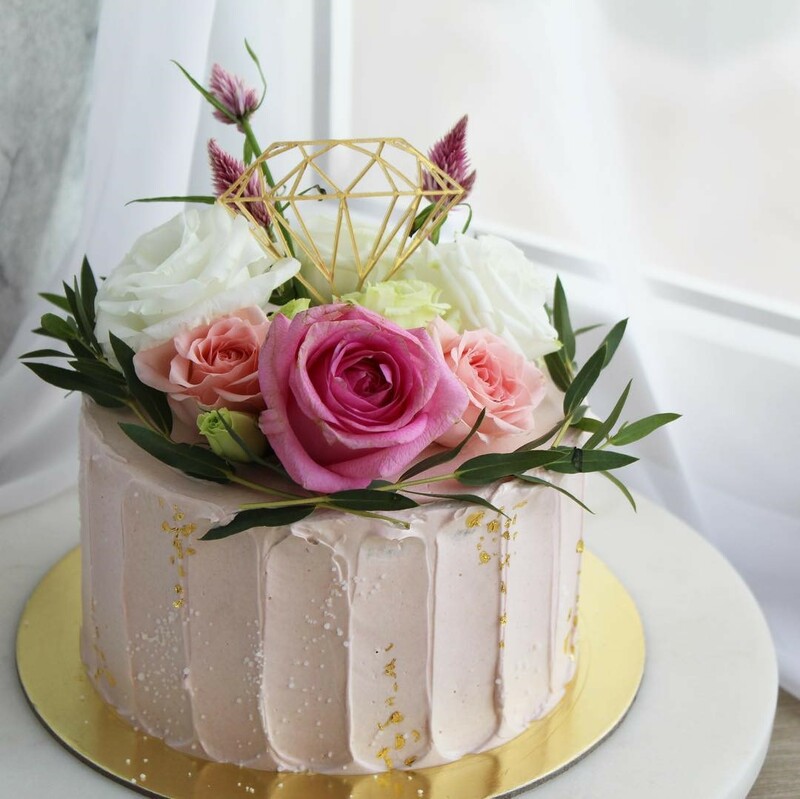 Material and Ingredients costs are also on the high side because your cakes are customised, meaning, we cannot get “stuff” in bulk let alone enjoy the benefits of wholesale price. For ASOL, we want you to have the best, so we imported our butter from Belgium, chocolates from Belgium, vanilla from Germany and used authentic Gula Melaka from places like Indonesia or Melaka itself. Imported goods are expensive but we want to create yummier cakes for you, so that’s the trade off. We want the best for you and have taken your wallet into consideration to come up with our prices. Please have mercy on us! Just the ingredients costs alone, not inclusive of manpower, appliances or marketing effort costs, already costs us up to half of the price of your cakes. Let’s be open, say you paid $95 for a cake. $55 goes into ingredients, not inclusive our our pay, rent, utilities for spending around 6 hours on your customised cake. We do not even get extra credit for our artwork, training or time liaising with so many people. I don’t think paying $6.50/hr for our work is too much to ask for right? In fact, I am sure you will not be too happy if your bosses pays you $6.50 /hr for your work. I hope this opens up a new perspective on cakes prices and justifies why is it so expensive. So please be fair to artists in Singapore. The work you see is the baker’s masterpiece. Countless of hours have been invested into every single piece of work. More often tham not, the quality time that you spend with your small group of friends beats throwing a birthday party where you won’t have enough time to properly entertain every single one of them. We all want beautiful and tasty cakes. If you are looking around for ideas or for the perfect cake, click herefor some beautiful cake designs. If you wish to receive another 5% off (a total of 10%), simply LIKE and SHARE their Facebook post and PM them with the following “Hi, I have liked and shared!”. Promotional code is only valid for orders made from 26 October 2018 to 31 December 2018, not inclusive of promotional and seasonal items. The article Throwing An Unforgettable 21st Birthday Party In Singapore: Costs and Considerations first appeared on Money Kinetics: Singapore’s definitive guide to financial literacy. Money Kinetics help Singaporeans compare and evaluate loans, deals, cards and guide them to make their money work for them.